If your clothes dryer is not working correctly, there are dryer problems you can fix before you call the repairman. Is it plugged in? This seems so simple but countless repairmen have said that's often all it takes to make an appliance work again. Check your central home electrical box to see if a fuse has blown or a circuit breaker has been tripped. You may be able to replace the fuse or turn the circuit breaker back on. If this happens frequently, call an electrician immediately! Stop the drying cycle and check the contents. Are all buckles fastened? Are zippers zipped? Are there "extra" items - coins, wallets, keys - taking a spin? Still noisy? It could be the motor or a broken drive belt. Check the lint filter. If the lint filter is loaded, air will not flow freely and your machine is forced to work longer than necessary. If the filter is full, you may also have lint trapped between the dryer drum and the filter. Use a long-bristled brush to clean out the trapped lint. You'll get your dryer working more efficiently and prevent a possible fire. If your filter is clean, the dryer is heating up but it is still taking too long to dry clothing; there are two things to check. Is the dryer exhaust hose kinked or clogged? Use that long-handled bristle brush to clean out the dryer hose. Ideally, the hose should be as short as possible between the machine and the outside exhaust vent to prevent clogging. Now, go outside and check the outside vent. Most are designed with a trap door that only opens when dryer air - and lint - are blown out. If the vent hood and/or trap door gets coated with lint, the trap door can't open. This is often a problem in high humidity climates. Check it every few months, you'll be amazed at the amount of lint you find. If it helps you to place a reminder on your calendar, then do it. When all else fails, pull out the operating manual and read it. The manual may have something specific for your model of dryer to check out. Misplaced the manual? Visit the manufacturer's website and having the model number handy will probably help. It may take a little time but it's much less expensive than a repair call. One last thing to do before calling a repairman is to visit online appliance repair sites for any suggestions. Washer problems you can correct before you call the repairman. Is it plugged in? Countless repairman have found the washer was not plugged in and all it took was to re-seat the plug into the electrical socket. Has a fuse or circuit breaker blown? Check the electrical box. If needed, replace the fuse or reset the circuit breaker. If it continues to blow fuses or circuit breakers, call an electrician immediately. Be safe. Check both the hot and cold water supply lines to ensure both are open. Some washers will not run unless both are open, even if you only use cold water. If the machine fills with water very slowly, one or both values may be partially open, open them all the way. If the supply valves are open, and the washer will not fill, a water filter may be clogged. (1) Unplug the machine. (2) Turn the water valves to the closed position. (3) Find a bucket to catch the water remaining in the hoses. (4) One at a time, unscrew the hoses from the machine, emptying the bucket after each one as needed. (5) Check the filter for clogs and remove the clogs as needed. If you can only partially clean the filter, plan to purchase and install a replacement. (6) Reconnect the hoses, slowly open the water supply valves, and check to make sure there are no leaks. This is often the result of the contents of the wash unevenly distributed around the agitator, creating an out of balance condition. It could be from uneven loading or from the contents shifting during the wash. Always attempt to load the washer evenly at the start of a load of laundry. If thumping occurs during a washing cycle, just stop the machine, redistribute the clothing and restart the machine. Check the connection of the water supply hoses to the values. Tighten the connections if you find any dampness. Look at the hoses, if you find small splits, replace immediately (probably both hot and cold at the same time for peace of mind). Take the hose in your hand and squeeze. If it feels soft or soft in some areas and not in others, replace immediately. Burst hoses can create expense clean-up depending on what is near your washer. Water supply hoses should be checked regularly and replaced as needed to prevent bursting. Front loading machines are designed to use a low suds detergent, sometimes called a high efficiency (HE) detergent. Check the detergent you are using and switch if needed. Front loading machines also have an overflow system, typically on the back of the machine. Excess suds could be escaping thru the overflow system. If your clothing is sopping wet after the spin cycle, the water is not exiting the machine as intended. First check the water exhaust hose for bends or kinks that could prevent the water from exiting. If your machine moves around during the spin cycle, it could have kinked the hose. Second, if the exhaust hose has a lint trap, check to see it is clogged. If it is clogged, clean or replace the lint trap. Third, the exhaust hose could be clogged with lint or hair. The hose can be cleaned with a long flexible brush. If you cannot find one at the hardware store, check the pet shop for one used to clean aquarium tubes. When all else fails, read the instructions in the operating manual. Find it and read it. It could have something specific to your model of machine that is not covered in these guidelines. If you can't find it, check the manufacturer's website. One last thing to do before calling a repairman is to visit on line appliance repair sites. Air conditioning problems you can correct before you call the repairman. As air conditioners have become standard on most homes, so has the need for air conditioning repair. When you're experiencing problems with your air conditioning unit there are a few common sense solutions you'll want to check before you call in a repairman. If those don't get you back up and running, however, or if your air conditioners symptoms point to bigger problems, you're wise to call in a professional to take necessary measures. An annual maintenance check of your air conditioning system is one of the best ways to avoid costly repairs. An air conditioning repairman will come out to your home, inspect your unit and your duct work, perform all necessary upkeep, and address any maintenance issues before they become major problems. Scheduling your annual maintenance check in the spring, before the start of hot weather, means you avoid the repairman's busy season and his rushing to the next service call. Also, you will be able to shutdown the system on a cool day, instead of a hot day when you need air conditioning the most. Most homeowners' reaction to air conditioning problems is to call in a professional immediately. It's not a bad practice, since the longer you put off potential problems, the bigger the repair usually ends up being. There are a few quick things to check first however, to make sure you don't end up paying for an unnecessary service call. At the thermostat, verify it has been set from heating to cooling, and verify the temperature it is set to. Sounds silly, but you'll feel even dumber when your air conditioning repairman hands you the bill for this easy fix. Before cleaning you air conditioning unit, you want to make sure to shut off the power. You do not want your hands near a moving part if the unit unexpectedly turns on. Dirt and debris around and inside your air conditioner can cut down on the efficiency of your unit and reduce its cooling power. One the easiest fixes is also one of the most common reasons a repair man is called. Pooling water around or below your air conditioner is commonly the result of a blocked drainage tube. Look for obstructions like dirt, algae, or ice, and either clean out or replace the tube if you find a problem. Just as with your furnace, it's recommended you replace or clean your air conditioning filter once a month when your air conditioner is running regularly. Failure to do so can cut down on your air conditioners ability to properly cool your home. Dear Jim: With recent concern about nuclear power plants, I want my central the air-conditioner to run efficiently to save electricity. Other than a professional service call, what can I do to tune it up myself? Dear Bob: Electric utility companies have to provide enough electricity generation capacity to meet peak demand even though it is actually not needed often. If peak electricity demand can be decreased, then fewer power plants will have to be built and perhaps some old ones can be shut down. Peak electricity demand typically occurs during hot weekday summer afternoons when commercial/industrial demand is high along with residential air-conditioning load. Running your air-conditioner as efficiently as possible can help reduce this peak electricity demand. There are some things you can do to keep your central air-conditioner running efficiently. This does not preclude having regular professional service calls, though. Technicians have special equipment and pressure gauges to check the internal components of the system. Getting adequate air flow through the outdoor condenser coils is important for efficiency, because this is where the heat is exhausted from the refrigerant. Make sure weeds and shrubs have not grown too close to the outdoor unit. Also, don't rest rakes or other items against it that may block airflow. Switch off the circuit breaker to the unit and remove the outdoor cabinet. Clean out any debris that has accumulated inside it that may block the coils. You don't have to make it spotless, though. If fins have been bent over in spots, try to straighten them out enough so that air gets through. It is important that all of the screws holding the cabinet sections together are tight when you reinstall the cabinet. Even if it is clean and you do not remove the cabinet, check all the screws. If they are loose allowing leaks, air will be drawn in gaps instead of through the coils as designed. Just as the proper amount of airflow is important through the outdoor coils, it is also important through the indoor coils. With the circuit breaker still switched off, remove the side cover on the indoor unit to expose the evaporator coils and the blower. When you reinstall the cover, make sure to tighten the screws. Quite a bit of dirt can accumulate on the indoor coils blocking airflow and insulating them from the air. This is because the coils get damp when the air conditioner is running and dirt sticks to it. Wipe the coils, and then use the brush attachment on your vacuum cleaner to clean them in the blower, as well as possible. Even though everyone has heard to change the blower filter regularly, most people don't do it. At the beginning of the cooling season, change the filter whether you think it is dirty or not. A dirty filter increases airflow resistance, which reduces efficiency. Check the joints in the docs for any air leaks. Seal them with aluminum tape or black gorilla duct tape. Refrigerator problems you can correct before you call the repairman. How to Repair a Refrigerator? If your refrigerator breaks down, you need to know how to get it fixed as soon as possible or risk losing everything inside. The main thing is to know what you need to try to fix. Before you call the repairman, or roll up your own sleeves, make some initial cursory checks. That way you do not embarrass yourself later. Ensure that the appliance is, indeed, plugged in. Also, double check the circuit breaker. Next inspect the fans on the appliance. If they are dirty, vacuum them off. Dirt sometimes clogs the fans and inhibits the appliance’s ability to cool itself. Let’s examine fixes for specific problems. The problem could be a problem with the gasket or dirty coils. You will know you have a gasket problem if you run this basic test. Put a dollar bill between the gasket—which is a rubber seal around the door—and the fridge itself. If the dollar bill comes out easily, then you need to replace the gasket. Go to your local hardware store and buy a gasket that is specific to the make and model of your refrigerator. Resist the temptation, to buy a one-size-fits-all gasket. You should pick up a large cooler and some ice too. You will need the gasket to sit in your kitchen for twenty-four hours. Doing so will allow it to adjust to the humidity and room temperature, in the room. Take off the fasteners that secure the gasket in place. Remove the old gasket and discard. Clean the area with gentle detergent. Make sure to take off the old adhesive. Begin working the new gasket onto the door by starting at one end and working toward the other. Smooth out the gasket and apply the cement that came with it. Then put the fasteners onto the new gasket. Close the door and check the seal. If it is off, then make adjustments as needed. These are located on the bottom front of your appliance. Pull of the grill on the bottom and get down on your stomach to check out the coil. It is a black tube that runs back and forth. At this point, you will need a brush from your hardware store specifically made for this job. It will cost you less than a fiver. It is called a condenser coil brush. You will take this brush and run it back and forth along the coil to free the lint, dirt, dust, and random items that have rolled under the fridge. Once you are finished, replace the grill and give the appliance time to begin properly again. This fan is located below the appliance. You will need to remove the grill below and get down on your stomach to find it. Clean the blades of the fan, which often become caked with lint and soil. If you clean it and the blades are not turning, spray a little WD40 on it. Take your hand and turn the blades as you spray. That should start the fan running again. If you have done these steps and the fan is not spinning, then you will need to remove it. Take it with you to the hardware store, so you can purchase a new one. If you are going to repair your fridge yourself, unplug the power to avoid electric shock. Find the Drain Pan. It is located on the bottom of the fridge, underneath the grill, in front of the refrigerator. The grill snaps out of place. Remove it. Pull the drain pan toward you. Empty the pan into the sink and then inspect for holes. If you do not find any holes, double check the pan by filling it with tap water and observing whether it leaks. If you need to replace the drain pain, simply take the damaged one into a hardware store. Once you have purchased a new one, slide it back into the spot under the fridge. Replace the grill. Many things on your refrigerator will require notice of a professional. But the problems discussed above can be done at home with little difficulty. OK, before we start with any troubleshooting, I want you to promise me that you will please obey the cardinal rule of "Garbage Disposal Repair". That is you will never put your hand in the hopper (down the drain into the disposal)! That being said, let's take a look at fixing this vital piece of kitchen equipment. If the disposal will not turn on and it is NOT making a humming sound, then there is an electrical problem. This may seem obvious, but make sure the disposal is plugged in. If it is plugged in then press the Reset button found on the bottom of the unit. If it has reset, the button will be popped out. If that does not work, check to see if the circuit breaker has tripped and turned off in the electrical service panel. If the breaker has not tripped and the reset button is not popped out, then it's either a faulty switch or a faulty garbage disposal. First locate the switch that powers the disposal unit. It should be located on the wall but may be under the sink. Turn off the circuit breaker at the service panel which powers the disposal. Turn power back on at the service panel and check the disposal for operation. If the disposal will still not turn on and makes no noise, the garbage disposal is beyond repair and needs to be replaced. If the garbage disposal won't turn on but makes a humming sound when you flip the switch, it won't do that for long. That means you have a stuck flywheel and the reset button on the unit itself or the fuse or circuit breaker in your electrical service panel will trip and turn off very quickly. The flywheel is stuck because something is lodged between it or the impeller(s) and the shredder ring. To start the repair, turn off power to the garbage disposal at the electrical service panel. Reminder: Don't ever put your hand down into the garbage disposal hopper (grinding chamber). Take the offset wrench that came with the disposal unit and insert the wrench into the flywheel turning hole in the bottom of the unit. If you don't have the wrench you can pick one up from the hardware store that sells your garbage disposal. Once the wrench is inserted, turn it clockwise to dislodge the stuck impeller or flywheel. When it dislodges, you'll feel the flywheel turn freely. Another approach is to try and use a wooden broom-handle or similar wooden object to free the stuck impeller and flywheel from the top of the unit through the drain. Place the broom-handle into the hopper and against an impeller. Use leverage to try and free the stuck flywheel. As before, when it dislodges you'll feel the flywheel turn freely. Make sure the door is completely closed and locked. Check the settings of both the timer and selector buttons. Check your fuse box/circuit breaker. Check your door switch for damage. The wall switch is in the off position. Your dishes are getting clean. The water may not be getting hot enough. Check the water temperature from the tap. It should be between 140 and 150 degrees F. Check the water heater's setting. Be sure to clean and rinse all dishes before loading. Make sure your dishes are stacked correctly and not obstructing any moving parts. Start with a fresh container of detergent. Your detergent could be too old. Check to make sure your detergent dispenser is opening. Remove hardened detergent or mineral deposits from the cup. Be sure the lid is not blocked and check the dispenser solenoid. The machine's spray arms may be blocked. Make sure nothing is obstructing them. The dishwasher tub isn't filling. The water inlet valve or solenoid may be broken. Your water filter could be clogged. If you have a filter clean it. The overflow switch could be malfunctioning. The unit will not fill if it's stuck up in the full position. The timer may be defective and need to be replaced. The water won't stop running. The inlet value could be stuck. Try to shut it. The timer could be broken. The overflow switch could be stuck. If it is frozen on the EMPTY position, the water will continue to run. Check for a clogged drain hose. Disconnect it and blow through it to be sure it's clear. The pump motor may be defective and need to be replaced. Your timer may be broken. Replace it. Mineral deposits could be accumulating on the heating element. Distilled white vinegar in the jet dry receptacle and clean the entire dishwasher. Check the electrical connections around the heating element. The heating element may be burnt out and need to be replaced. Your timer may be broken and will need to be replaced. Check the door seal for damage. Replace the seal if necessary. Overflow switch could be defective. Check the switch for damage. Check the door hinges. Replace them if they are not working properly. Make sure your machine's heating element's nuts are not loose. Tighten the nuts that attach the element to the tub. Check for loose hose clamps. Tighten any loose clamps. The dishwasher is making a lot of noise. Make sure the spray arm is not hitting the dishes. Reload the washer and make sure the arm is clear. A knocking sound while the unit fills, could mean a damaged water inlet valve. It will need to be replaced. There may not be enough water in the tub. Don't use other faucets while the dishwasher fills. Dear Jim: I think we need to add air-conditioning to our home. We have electric baseboard heating, so there are no ducts. What are the simplest central options available? Answer: Your situation with no heating duct is not uncommon in older homes throughout the country, especially in hot or cold climates. In cold climates, boilers and other non-ducted heating systems are common. In hot climates, one or more small space heaters or floor furnaces are all that is needed for heating. You have basically two options to cool your entire house: a mini-duct system and a mini-split system. A mini-duct system has cooling air outlets (registers) in every room, whereas a mini-split system has cooling air circulators in just several rooms. The cool, dehumidified air from the circulators will flow throughout your how home, but there may be uneven temperatures and the noise level is higher than in a mini-duct system. A mini-duct system is easy to install inside the walls with minimal remodeling. The small ducts fit inside a typical framed wall without having to disturb the drywall. Trying to install standard metal ducts with an outlet in every room is difficult, especially in two-story homes. Unico's mini-duct blower is modular, so it also installs easily in the attic. The mini-duct system has some comfort and overall efficiency advantages over a standard ducted air-conditioning system. Both systems use a high efficiency outdoor compressor unit, but the mini-duct system operates at a much higher air pressure. This high pressure is needed to force the cooling air through the small insulated ducts. Since the blower operates at a high pressure, dense cooling coils, which would create too much airflow resistance for a standard ducted blower system, can be used. These dense coils keep the room air in contact with them longer to increase the amount of dehumidification by up to 30percent. If indoor is dehumidified, you can feel comfortable at a higher temperature, therefore saving energy. There are generally several mini-ducts run to each room. These terminate at 2-inch diameter outlets typically mounted up near or in the ceiling. With several outlets in each room, the cool air is distributed well throughout each room. Wide, but narrow, outlet registers are also available for mounting under cabinets or where there are other space constraints. The cool air blows out of the outlets at a high velocity. This creates a vortex effect that draws room air into the flow for excellent mixing. Even though the cool air blows out at a high velocity, the system operates very quietly. The main blower and heat exchanger unit is often mounted in the attic with a larger insulated trunk duct running almost the length of the attic. The insulated room ducts run off this trunk duct or from other secondary smaller trunk ducts to the room outlets. Warning! To avoid personal injury or even death, always disconnect your appliance from its power source--that is, unplug it or break the connection at the circuit breaker or fuse box--before you do any troubleshooting or repair work on your appliance. Also, because some components may have sharp edges, use caution while working on your appliance. Wall socket: Trash compactors usually plug into a wall socket. Try plugging something else into the socket to be sure the socket is getting power. If it isn't, check the household fuses or circuit breakers. Ground fault circuit interrupter: If there's no power to the outlet but the fuse/circuit is okay, the compactor may be plugged into a circuit that's protected by a ground fault circuit interrupter (GFCI)--a special wall socket with a Test and a Reset button. If so, try pressing the Reset button. Switch: If there's power but your compactor still doesn't function, there may be a problem with the compactor's door switch, key switch, or the micro switches that sense when the ram is fully up. But also make sure that nothing is caught behind the drawer, keeping it from closing all the way. If the ram won't go down--or if it has gone down but won't come back up--there may be a broken drive belt, chain, or gears. Or the switches inside the cabinet that control the direction and starting/stopping points of the ram may be defective or out of adjustment. Trash compactors can be tough to work on because they are, themselves, compact and difficult to move. We suggest that you consult the repair manual for your trash compactor. Over time, food spills and other garbage may clog the track the drawer rides on. If you can remove your drawer, thoroughly clean the tracks, glides, rollers, and so on using degreaser and some dish detergent on a damp rag. Then wipe all of the components with a clean, damp rag and lightly oil the track with a household lubricant. If the drawer continues to be stiff, you may need to replace the rollers, ball-bearings, or tracks. Dear Jim: Our refrigerator is pretty old and I would like to get a new, more efficient one. We are empty-nesters now, so I am wondering if it makes sense to get a smaller one, but perhaps one with more features? Answer: Any new refrigerator is going to be more energy efficient than your old one. This is particularly true for Energy Star qualified models that must be 20 percent more efficient than the current minimum energy efficient standards. You can find a list of models that are qualified at www.energystar.gov along with buyer's guide tips. With all other design factors being smaller, a smaller refrigerator consumes less electricity than a large one. Unless you are constantly opening the refrigerator door and searching for food items, the majority of the electricity consumption of a refrigerator is due to heat transferring in through the insulating exterior surfaces. A smaller refrigerator has less exterior surface area than a large one, so less heat gets in. To keep the inside of the freezer at 0 degrees and refrigerator portion at 40 degrees, this heat must be removed by running the compressor. When deciding upon the features you need, try to avoid ones that penetrate the exterior of the refrigerator. At a penetration, there is no insulation so more heat can transfer in. This is analogous to a house exterior. A house with more windows, doors, skylights, etc. will lose more heat than one with fewer breaks in the wall and ceiling insulation. With your children no longer living at home, you can probably get by with a smaller (less cubic feet) than your old one. Clean out all the unused items in your existing refrigerator to determine how much free space you have. Keep in mind, with the children gone, you probably can move some of those extra cans of soda pop to the closet, which will free up space. Also, don't determine the size required by the maximum amount of refrigerator space you just a couple times during the holidays when everyone is back home. Just plan a bit ahead to use up some of the items so there is more temporary space. The most efficient refrigerator design is a to-freezer. It typically provides the most usable interior capacity for its exterior size. The cold air from the freezer naturally drops (cold air is more dense) down into the refrigerator portion. A good rule of thumb is the actual usable capacity of a refrigerator is about 80 percent of the advertised capacity. Any features that allow you to customize the interior space are good. Pullout shelves are an advantage because, with easier access to the back of the shelves, you tend to store things there. Split shelves mounted in adjustable slots or ones that crank up and down also increase the amount of usable interior space. The following companies offer refrigerator/freezers: Frigidaire, 800-374-4432,www.frigidaire.com; General Electric, 800-626-2000,www.eappliances.com; KitchenAid, 800-422-1230,www.kitchenaid.com; LG, 800-243-0000, www.lge.com; and Whirlpool, 866-698-2538, www.whirlpool.com. Dear Jim: We are retired and our interest income from bank CDs is not what it used to be. I thought about replacing our gas furnace to lower our utility bills. What is the most efficient design available? Answer: Many, not just retirees, are experiencing reduced income because of the very low interest rates now. This actually makes it a good time to invest in a new gas or propane furnace. You will save on your utility bills each month and the lost interest (opportunity cost) from the money you spend to install a new high-efficiency furnace is not as great. Most people want to install the highest efficiency furnace. Depending upon your climate, local fuel rates, energy efficiency of your house, how long you plan to live in the house, etc., the most efficient model is not always your best choice. Have your heating contractor do a payback analysis on various models before you make your purchase. The AFUE (annual fuel utilization efficiency) of some new models is as high as 98 percent. Most older furnaces are in the 60-percent or lower range, so your heating costs may be as much as 40 percent lower than now. The most-efficient models also use special blower motors that use less electricity. This also reduces your electric bills during summer because your central air conditioner or heat pump uses the same indoor blower motor. In addition to reducing your utility bills, comfort is much improved with a new furnace. With the new high tech smart thermostats and variable heating and blower speeds, indoor air temperatures stay more constant and noise levels are lower. If you want the most efficient design, most major furnace manufacturers now offer modulating output models. These vary the size of the gas flame from as low as 15 percent of maximum output to 100 percent. In contrast, your existing furnace operates at only zero or 100 percent no matter what the outdoor temperature or the instantaneous needs of your house are. On a mild winter day, a modulating furnace burner operates at a low flame and the blower runs slower. The furnace runs in longer cycles so the indoor temperature does not spike up and down. Also, since the furnace runs in a more steady-state mode, overall efficiency is higher. During cold weather, the thermostat tells the furnace to increase the flame because more heat is needed to keep your house warm. These new thermostats include outdoor temperature sensors to accurately determine instantaneous heating needs. This also helps the thermostat determine when to increase the temperature in the morning so you awake to a warm house. The next step down from a fully modulating furnace is a two-stage model. This has just a two-level (low/high) gas valve. This is somewhat less expensive to install and for most families provides almost as much savings and excellent comfort. Another even lower-cost option is a single-stage furnace with a variable-speed blower motor. The AFUE’s for many of these is as high as 95 percent. Do Dryer Sheets Harm My Dryer? Question: Do Dryer Sheets Harm My Dryer? The use of fabric softener dryer sheets won't permanently harm your dryer but they may effect its efficiency. Answer: Just as fabric softener dryer sheets leave a residue on your clothing, they also leave residue in your dryer. This residue may clog the screen of the lint filter. If this happens, clean the screen with a fine brush and some detergent. The electronic moisture sensor may also become coated with residue. The coating will prevent the sensor from working correctly and cause your clothing to over dry. Periodically, wipe off the sensor with a cotton ball and a little rubbing alcohol. Always check to be sure the sheets come out of dryer with the load of clothes. They can sometimes become stuck in the lint filter or over a vent and prevent proper air flow. Does the light inside the freezer work? Or, can you hear a fan, motor, or other sound coming from the appliance? If so, the freezer is still working. Go to the specific problem you are having with the appliance. If not, try adjusting the thermostat to a colder setting. If your freezer still doesn't work, read on. To check to see if power is getting to the freezer, plug a lamp or other device into the same outlet as the freezer. If there's power, check the fuses or circuit breakers. If that's not the problem, contact a qualified electrician to restore power to the outlet. The problem with your refrigerator can be difficult to pinpoint without a clear indication of a specific defective component. 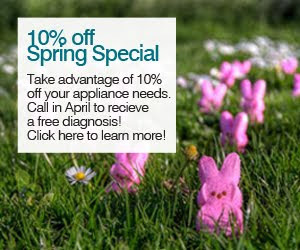 At this point, we recommend that you see help from a qualified appliance repair technician. Is the thermostat knob turned to the proper setting? You can't service these yourself. You need to contact a qualified appliance repair technician. For information about these components, read about freezers in the How Things Work section of our website. If your freezer cools but doesn't get cold enough, it may have a problem in one of several areas. To better understand the proper operation of a freezer, read about freezers in the How Things Work section of our website. In a self-defrosting freezer, poor cooling often results from a heavy frost build-up on the evaporator coils. You can't see these coils without removing a panel inside your freezer. But if you see any frost or ice build-up on the inside walls, ceiling, or floor of your freezer, it's a sure sign of frost build-up. And that's a sign of a problem with the self-defrosting system. Freezers should self-defrost three to four times in 24 hours. But if a component in the self-defrosting system fails, the freezer continues to try to cool, instead. Eventually, so much frost builds up on the evaporator coils that the circulating fan can't draw air over the coils. There's still some cooling because the coils are frozen. But with no air flow over the coils, the cooling is quite limited and the freezer isn't as cold as it needs to be. The defrost timer. To test this, manually advance to the defrost cycle. The unit should advance itself out of the defrost cycle in about 45 minutes. The defrost thermostat (or bi-metal switch). This thermostat allows current to pass through it at temperatures of 20 to 30 degrees Fahrenheit and prevents current from passing through it at 40 to 60 degrees (depending on its design). This is difficult to test, though, because it takes a prolonged, very-cold temperature to turn it on. The defrost heater. You can test this for continuity using an electrical meter. If the freezer is on the top, the fan is on the back wall, either near the top or bottom, in the center of the freezer. If the freezer is on the bottom, the fan is on the back wall, near the top of the freezer. If the freezer is on the left, the fan is on the back wall, either half way up or near the top. Over time, the fan may become noisy--chirping, squealing, or even groaning. To determine whether the fan is causing the noise, open the freezer door and hold in the door switch. If the noise is louder when the door is open, the evaporator fan motor is the noisemaker. These motors can't be serviced. You need to replace it. The compressor is a black, football-sized case with no apparent moving parts on the outside of the freezer at the back near the bottom. It has black or copper-colored tubes and various colored wires attached to it. If the compressor is noisy, there's probably no repair that will reduce the noise. You need to replace it, which can be quite costly. The condenser fan, if it's noisy, may have lint or debris on its fan blades that's causing the noise. Try cleaning the fan blade. If that doesn't work, you need to replace the fan. Noises here are almost always actually coming from the back of the freezer, see the "The outside back of the freezer" section, above. The thermostat cycles the freezer on and off. The cooling system runs as long as the temperature inside the freezer is higher than the set temperature. If the temperature inside the freezer is cold enough, but the thermostat doesn't cycle off, the thermostat may be defective. If so, you need to replace it. Dear Jim: We added a room, but our central air conditioner doesn't cool it well. Our second floor master bedroom also does not stay cool. Does it make sense to install a window air conditioner or a mini-split system? - Kyle F.
Dear Kyle: The cooling problems you are having are not uncommon. This is particularly true for second floor rooms. The cool air-conditioned air is more dense than warm air, so it tends to drop to the first floor. Also, second floor ceilings are exposed to the hot underside of the roof. For both your new room addition and your second floor bedroom, installing a mini-split air conditioning system is more efficient and effective than a window air conditioner. The only drawback is more expensive to install initially and cannot later be moved to a different room. I have a two story house with a central heat pump. I recently installed a LG Art Cool mini split system for my master bedroom. I selected the smaller output 9,000 Btuh model which has an efficiency of SEER 28 and inverter compressor technology. My central heat pump is SEER 13, so my Art Cool model is twice as efficient. I chose the heat pump version so it can also heat efficiently during the winter. A window air conditioner has all the components -- compressor, air circulation fan, condenser fan, etc. -- in the cabinet in the window. Even though it is insulated against heat flow and sound, it is still not ideal for good efficiency. The newest ones are fairly quiet, but can be annoying in a bedroom at night. A mini split system is very similar to a central air conditioning or heat pump with the condenser fan, coils and compressor in an outdoor unit. Some models allow the outdoor unit to be placed up to 100 feet from the room. This virtually eliminates noise from those components getting indoors at night. Instead of having the indoor cooling coil in an air duct system as with your existing central air conditioner, the coil is mounted in a fan unit on the ceiling of the room. It is connected to the outdoor unit by refrigerant and electric lines. Only a 3 inch diameter hole needs to br cut through the wall. The condensate drain goes out through the same hole. Mini split systems can be used to air condition an entire house by installing indoor wall units in several rooms. The cool air will circulate throughout the house. This is commonly done in houses using baseboard electric or hydronic heat which do not already have a heating duct system. In addition to the high SEER rating, installing a mini split unit allows for zone cooling. For example, in my case, there is no need to keep the downstairs cool all night when I am sleeping in the bedroom. My mini split system allows me set the central thermostat higher at night to save. The inverter compressor provides for variable cooling output. Once the room cools down to the thermostat setting temperature, the inverter compressor speed slows to keep the room at that temperature. The hand held remote control has many modes of operation including a dehumidification setting. Dear Jim: Our bathroom vent fan has been getting noisier for years, so I want to install a new quiet one. How can I tell which are most quiet? Is it more efficient to run the vent fan or open the window? – Steve R.
Dear Steve: There are several reasons your old bathroom fan has gotten louder. Most likely, the bearings in the motor are worn. A good indication of this is if you hear the speed of the fan varying or you hear a slight squealing sound after it runs a while. Another possible cause of the noise may just be accumulated dirt or some mounting screws which have come loose. Pop off the grill cover and unplug the fan and light. Clean it out, tighten all the screws and see if that reduces the noise to an acceptable level. If the noise level is not better, you can place the entire unit or just replace the motor/fan with a rebuilding kit to get it back to its original noise level. Installing a rebuilding kit is a lower-cost option, but installing a new high-tech vent fan is more efficient and quiet. The sound level of bathroom vent fans is measured in "sones". The sones rating should be shown on the package. The best new fans create only 0.3 sones, which is difficult to hear running. A smaller capacity fan also is quieter than a large one. A venting airflow capacity of 1.1 cubic feet per minute per square foot of flooring area is adequate. Whenever you are heating or air conditioning, it is more efficient to use a bathroom vent fan than just opening a bathroom window. You have very little control over the amount of ventilation from a window. Also, it may not vent out the excess humidity or odors if the wind is not blowing in the proper direction. Though most efficient type of bathroom vent fan uses some type of automatic control to turn it on and off and control the speed on multispeed models. Particularly if there are children in your family, bathroom vent fans tend to get turned on and left on until an adult finds it running. A quiet bathroom vent fan with a motion sensor is ideal for an area with the toilet. The fan automatically comes on when the sensor detects someone coming into the bathroom. Once a person leaves the room and no more motion is detected, the fan stops after an adjustable length of time. For bathroom areas which are predominantly used for bathing, a humidity sensing vent fan is best. The most sophisticated sensors, as on the Broan Ultra Sense models, measure the rate of humidity level increase, not just a predetermined humidity level, to switch the fan on. This reduces the amount of time the fan runs for adequate ventilation and, therefore, saves energy. Another efficient, quiet option is a combination recessed light/fan mounted in the ceiling of the actual shower area. Installing a replacement icemaker is simple. No ice cubes to cool your beverage because your fridge icemaker is on the fritz? You can buy a replacement icemaker and install it without breaking a sweat. It's simple. If your icemaker stops working, there's no need to call the appliance repair service. First, locate the saddle valve that's clamped to the house water supply and turn it off and on a few times to break up any mineral buildup clogging the valve. If that doesn't work, unplug the refrigerator and remove the icemaker to make sure the water inlet at the back of the refrigerator isn't plugged with ice (just heat it with a hair dryer if it is). However, if the water supply isn't blocked and the refrigerator is older, it's time to replace the icemaker. According to appliance repair pros, most icemakers break down long before the refrigerator. The good news is that most replacement kits are simple to install. Locate the model number on the wall of the refrigerator just inside the door, then buy a new icemaker at an appliance store or online (do a search for "appliance parts"). Unplug the refrigerator and turn the water off, then take the old icemaker out and disconnect the wiring. Plug the new icemaker in, hold it in position and screw it to the refrigerator wall. Pull the refrigerator out from the wall; disconnect the water supply from the inlet valve at the bottom of the refrigerator, then replace the old inlet valve. Inlet valves should be replaced when the icemaker is replaced, and are usually included with replacement kits. If not, order it separately. Before you push the refrigerator back, turn the water on and check for leaks. You have gotten all your ingredients ready to go, even putting them in the little clear glass bowl just like the cooking shows on television. You grab your first pan and turn on your electric stove. After a minute, the stove has not produced any heat. None. You can save yourself some time and money by knowing how to do some simple repairs for your electric stove. If you do not have experience in handling electricity, it can be dangerous if not deadly. Ask someone with experience in working with electricity to come over and walk you through the steps to check things if you have any concerns at all. If you need a professional, call a professional. If for any reason you leave the repair area, the first thing to do when you return is to verify the power cord is how you left it, plugged in or (especially) unplugged. You do not want someone doing you a favor by plugging in the cord and accidently giving you the shock of your life. To restate the obvious, an electric stove requires electricity. That being said, the first thing to check is if the power cord is plugged in and/or properly seated in the outlet. Unplug the cord from the outlet and visually inspect it. If it is dirty, clean and dry it. If it appears damaged, get it replaced. Re-seat the power cord into the outlet. Re-check the operation of the stove. If the stove is still not working, unplug the stove and check the outlet for power with a voltmeter. If you don’t have a voltmeter, plug in a portable lamp. This will tell you if you are getting power to the outlet or not. If you are not getting power to the outlet, you will want to check the electrical box to see if a fuse has blown or circuit breaker has been tripped. Replace the fuse if it has blow, or reset the circuit breaker if needed. Re-check the operation of the stove. If you keep blowing fuses or tripping circuit breakers, contact a professional. Start by unplugging the stove. Visually inspect the burning heating element that is not working. If it is damaged, then replace it. And, yes, it is always a good idea to take the damaged one with you when getting the replacement to make sure you get a proper replacement. If the heating element visually looks good, then you will want to test it in a working burner position. Remove a working heating element, install the element to be tested, re-plug in the stove and test the burner. Unplug the stove. If the element did not work, you will need to replace it. If the heating element did work, you have a different problem. With the stove still unplugged, follow the wires for the burner that is not working to their terminals. Check the wires with a multi-meter at the setting of RX1. If the receptacle fails, you will need to replace the receptacle with a new one. You will also want to inspect the terminals while the power is still unplugged. If you find corrosion, you will need to remove it by using fine sandpaper. No not use steel wool. Using steel wool may leave small metal particles in the terminal which could cause a short circuit when the power is tuned back on. "Mike came out & repaired our 17 year old Whirlpool washing machine. He was knowledgeable & very polite. It was a pleasure dealing with your company. Thank you." "Steve was the repairman; he did a great job. [I] was very happy with his work, he took his time and explained everything." "[My technician] was very professional and courteous. He made sure everything was clean and working before he left. He gave easily understandable explanations of the work he was doing." "My technician was absolutely great! He went above and beyond to get our dishwasher working quickly. It's very clear that he enjoys his job and is proud to work for AAA! I will recommend you guys to all my family and friends." "You can't [improve] - Your technician was the most knowledgeable and courteous we have ever had from any company. Thank you!" "Your 'explanation of charges' flyer is great, I have never had a company in all my years take the time to explain the cost of repair like you folks did. Thank you!" "Couldn't possibly improve service in any way I can think of. Will surely use you again if ever needed!" "I am really impressed with your service! The phone staff is helpful, knowledgeable and courteous. My technician was fantastic. Neat, friendly, quick. He explained everything to me. Thanks!" "I was so pleased by the promptness of the appointment! Your technician was courteous and did a fine job." "Outstanding Service on everything from phone to service man - Thank you." "It was great - I was called when the technician was on his way, he arrived at the time promised and was able to fix the problem on the spot. You can't ask for more than that!" "The technician also gave me some tips on cleaning my dishwasher. He's someone I can trust and recommend." "I had Dave out on my dishwasher and he was ABSOLUTELY (pause) WONDERFUL (pause),, he was very very pleasant, and very thorough and, just think one needs to hear that form time to time, thanks again, and I am going to put your phone number in my cell phone and continue to use your company based on his service. Thanks." -- Mary V.
60004, 60005, 60006, 60007, 60008, 60009, 60010, 60011, 60012, 60013, 60014, 60015, 60016, 60017, 60018, 60019, 60020, 60021, 60022, 60025, 60026, 60029, 60030, 60031, 60033, 60034, 60035, 60037, 60038, 60040, 60041, 60042, 60043, 60044, 60045, 60046, 60047, 60048, 60049, 60050, 60051, 60053, 60055, 60056, 60060, 60061, 60062, 60065, 60067, 60068, 60069, 60070, 60071, 60072, 60073, 60074, 60076, 60077, 60078, 60081, 60082, 60083, 60084, 60085, 60086, 60087, 60088, 60089, 60090, 60091, 60092, 60093, 60094, 60095, 60097, 60098, 60101, 60102, 60103, 60104, 60105, 60106, 60107, 60108, 60110, 60113, 60116, 60117, 60118, 60120, 60121, 60122, 60123, 60124, 60125, 60126, 60128, 60130, 60131, 60132, 60133, 60134, 60137, 60138, 60139, 60140, 60141, 60142, 60143, 60148, 60152, 60153, 60154, 60155, 60156, 60157, 60159, 60160, 60161, 60162, 60163, 60164, 60165, 60168, 60169, 60171, 60172, 60173, 60174, 60175, 60176, 60177, 60179, 60181, 60184, 60185, 60187, 60188, 60189, 60190, 60191, 60192, 60193, 60194, 60195, 60196, 60197, 60199, 60201, 60202, 60203, 60204, 60208, 60209, 60301, 60302, 60303, 60304, 60305, 60398, 60399, 60402, 60404, 60423, 60426, 60428, 60431, 60432, 60433, 60434, 60435, 60436, 60439, 60440, 60441, 60443, 60445, 60446, 60448, 60451, 60453, 60454, 60455, 60456, 60457, 60458, 60459, 60461, 60462, 60463, 60464, 60465, 60467, 60472, 60477, 60478, 60480, 60482, 60490, 60491, 60501, 60502, 60503, 60504, 60505, 60506, 60507, 60510, 60513, 60514, 60515, 60516, 60517, 60521, 60522, 60523, 60525, 60526, 60527, 60531, 60532, 60534, 60540, 60542, 60544, 60546, 60555, 60558, 60559, 60560, 60561, 60563, 60564, 60565, 60566, 60567, 60568, 60570, 60572, 60585, 60586, 60598, 60599, 60610, 60611, 60613, 60614, 60618, 60622, 60623, 60624, 60625, 60626, 60630, 60631, 60634, 60638, 60639, 60641, 60641, 60644, 60645, 60646, 60647, 60654, 60656, 60657, 60659, 60660, 60661, 60666, 60668, 60674, 60677, 60685, 60690, 60691, 60697, 60701, 60706, 60707, 60712, 60714, and 60804. Expert Appliance Repair in Chicago & Suburbs Since 1950! AAA Appliance Service Center specializes in appliance service and repair of all major appliances in the Suburban and Chicago metropolitan area. 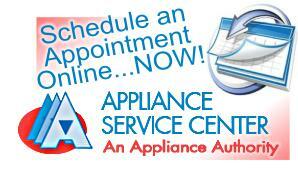 To schedule an appointment for repair service on your appliance online, please click here. AAA Appliance Service Center services nearly all brands of appliances, but for a complete list of appliance brands we service, please click here. Our technicians are bonded, insured and factory trained professionals! AAA Appliance Service Center is adding new features and improvements to our primary web site to better serve our clients! Refrigerator | Dishwasher | Oven | Washer | Dryer | Microwave | Coffee System | and more! Pizza Ovens | Ovens | Cooktops | Prep Tables | Steamers | Fryers | Mixers | Dishwashers | Refrigerators | Freezers | Display Coolers | Kegorator | Cold Stone Tops | Manitowoc Ice Machines | Laundry Equipment | Booster Heaters | Quick Chillers | And More! Nationally recognized for service excellence several years over, AAA Appliance Service Center of Chicago was awarded "Masters of Service" by the National Association of Retail Dealers Association (NARDA), which is the "Oscar" of the appliance repair industry. We are known for our expertise and professionalism. We have received regular, raving reviews in the Chicago Tribune, Sun-Times, and numerous suburban newspapers like the Daily Herald. Our company is registered with Angie's List and the BBB. You can view some of our customer comments here also. We are also the exclusive home to the appliance "Mr. Fix It"®! Our goal is to provide businesses and residents in Chicagoland the most professional technical and customer service possible. Our technicians strive for excellence. They are factory-trained, licensed and bonded, and receive continuing education and training to provide our customers the highest level of professional appliance repair service possible. We use the latest equipment and procedures to safeguard our customers, their property and their time. Also, to guarantee our clients remain satisfied, AAA Appliance Service Center stands apart from the industry by providing a full one year warranty on parts and labor! We pride ourselves on our Customer Service and provide a level of courtesy and professionalism unmatched in the appliance service industry. PROMPT and ON TIME is our scheduling focus and goal. To verify your specific location, please view our extensive territory list. If you have any suggestions about how we can better serve you, please let us know. If you have any other questions about our business or appliance repair in general, please refer to our Expert Tips.